A wireless network is like any other in that it can efficiently handle only so much workload, and home automation systems add to that workload. Thankfully, routers can handle pretty hefty workloads due to high bandwidth support. Bandwidth, for those who don’t know, is the measure of the amount of information a network device can pass through at any one time. Multiple smartphones are common in homes today, and more often than not, those folks who don’t have unlimited data plans with their cell provider will want to use their Wi-Fi network for surfing the web and conducting other Internet-based tasks. Multiple tablets in a home translate into a heavier load on a wireless network; there’s no other way to connect them to the Internet. Multiple laptops in a home also cause a drag on your wireless network. Other devices, such as streaming media players like Roku devices (shown here), Apple TV, and Google’s Chromecast, place a high demand on your wireless router. Your kids may be streaming a Disney movie in one room, your spouse may be checking out the latest season of Downton Abbey, and you might be streaming the big game in your man cave. That kind of activity would make most wireless networks struggle to catch their breath. Credit: Image courtesy of Roku, Inc.
All the preceding examples were to say that your wireless network already may be working very hard to keep up with your needs, and adding more to the load with a home automation system could cause enough extra strain that the whole thing comes to a crawl. You may never need to change anything on your network. You may be able to incorporate all the home automation devices you can get your hands on without noticing so much as a hiccup in your network’s performance. On the flip side of that argument, though, you might add a single device to your system and find it unusable (doubtful, but never say never). Simply enough, you can’t seem to browse the Internet and load web pages as fast as you have before. Things start to get wonky, such as a streaming video begins to get choppy with a noticeable degradation in quality, or transferring files from your computer to another takes dramatically much more time than it has before. You lose your Internet connection altogether. Before adding devices to your network, test your network speed by communicating with other devices and browsing the web. Run the exact same tests after you add a device to your network. If everything is more or less the same, your network is running well, even with the additional device. If everything comes to a near-halt, the newly added device is most likely the culprit. Remove the device and see if everything instantly returns to normal. If so, you will need to do something to increase your network’s bandwidth in order to use the device. Another issue you may run into with your home automation devices is that your network’s range may not be sufficient. For example, you might place a device in a room that doesn’t get a good signal from your router. In this case, the device may not get enough signal to communicate reliably, if at all. Upgrade your wireless router. If your current router is made of wood or has “Moses wuz here” carved on the bottom of it, it’s probably a good idea to do so anyway. Relocate your router, or at least place it higher than it may be. It currently may be located in an area that isn’t conducive to sending a strong signal. Finding a different place for it to reside, preferably a central location, could alleviate the problem. Get a second router (or access point). If getting a new router or relocating your current one isn’t something you can or want to do, getting a second router (or access point) is the way to go. Connect the two via Ethernet cable, and your woes will be history. 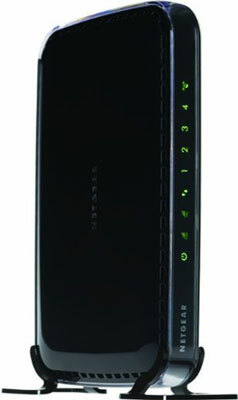 Purchase a wireless range extender. Wireless range extenders, like that seen here, do just what their name implies: They extend the range of your current router by picking up the signal and rebroad­casting it at greater strength. Strategically placing one or more of these may instantly make your problems disappear. Be aware that these little guys don’t always work as well as you’d like, since they are receiving and sending signals using the same channel. Credit: Image courtesy of Netgear.